We start this week sitting on a small, fledgling recovery within a downtrend. 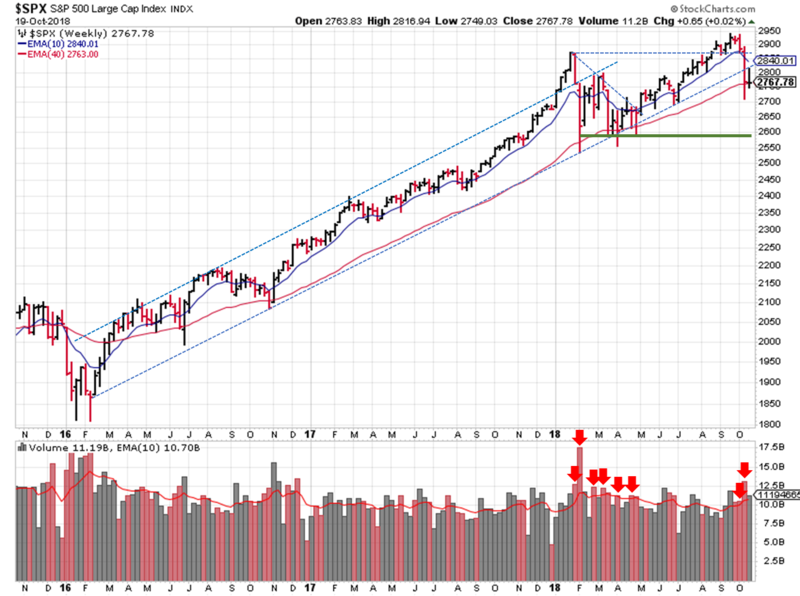 The 200 day moving average provided some level of support, but it’s not clear if this is the start of a rally or a pause in the downtrend. 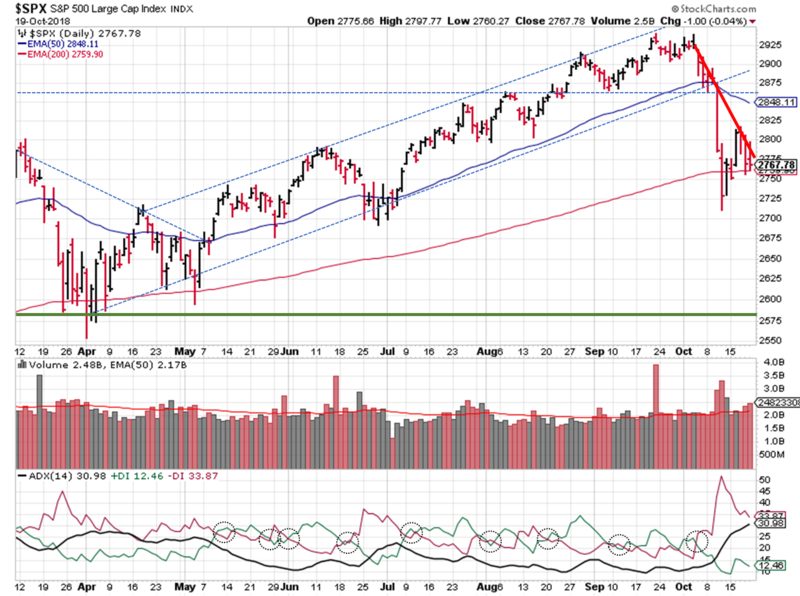 All the indexes kick things off below their 20 and 50 day moving averages, keeping this signal in a downtrend. 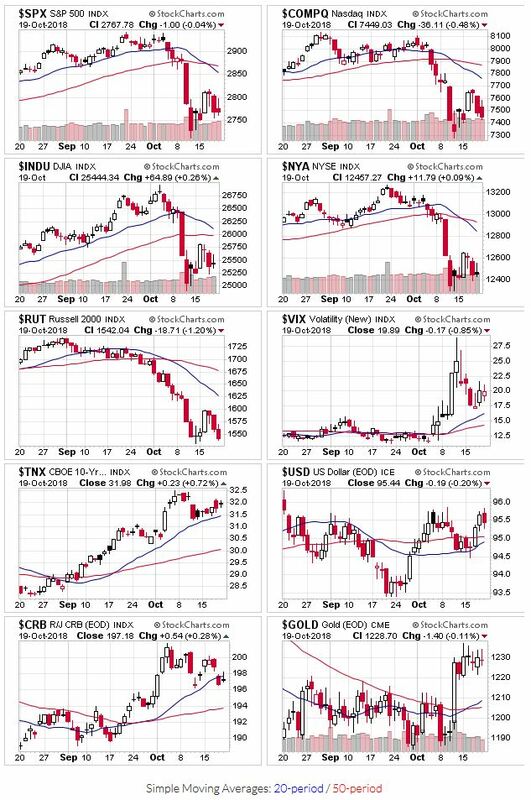 The downtrend remains from a price/volume perspective, as leading stocks continue to get trounced and prices continue to fall on higher than average trading volume. OEW remains in a downtrend. They expected a 250 point decline, followed by a 50% retracement, and then another decline to lower lows. Last week, we recovered just under 50% of the first drop (~110 of the 230 points). The S&P ($SPX) found support at the 200 day moving average during the week, but didn’t progress much from that level either. If that level doesn’t hold, a trip below 2600 is likely (losses of another 6% or so). Now is not the time to go all in; we need some positive developments first. But take a look at your watch list and see what’s holding up reasonable well in the midst of the sell-off. Those are likely the names that will lead the market higher when it turn around.